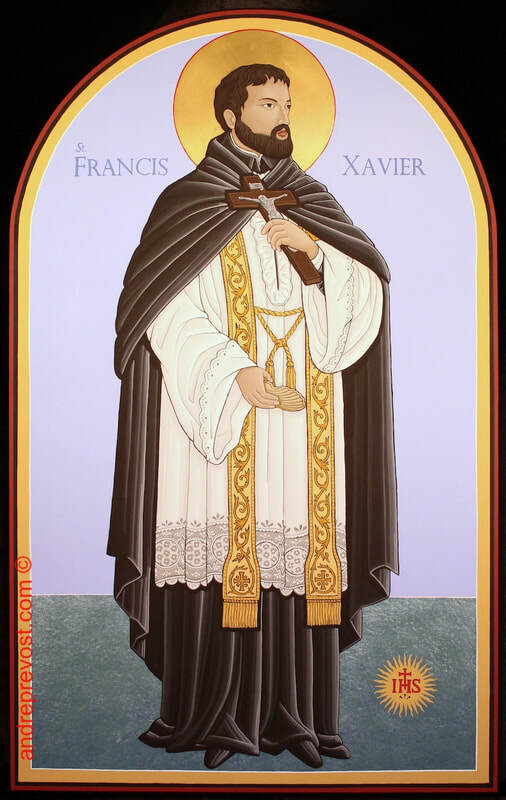 St. Francis Xavier Icon © 2018 30"x48"x1" archival acrylic on wood panel covered with muslin and gesso. The 1st of 8 icon being written for St. Monica Church, Richmond BC. 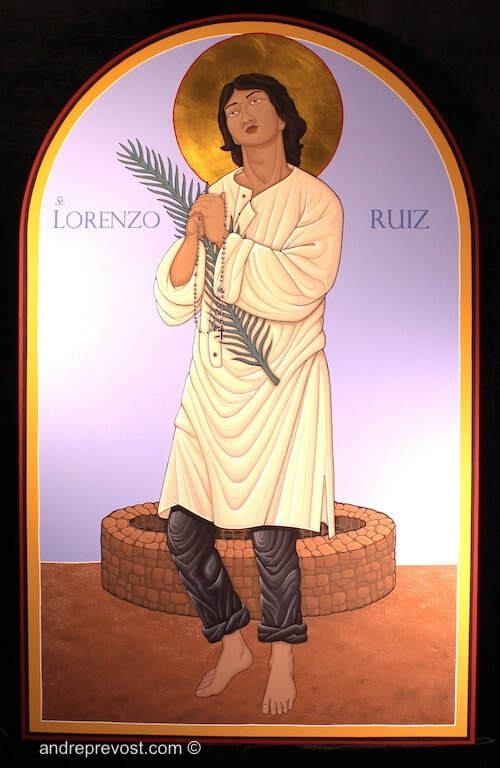 St. Lorenzo Ruiz Icon © 2018 30"x48"x1" archival acrylic on wood panel covered with muslin and gesso. The 3rd of 8 icon being written for St. Monica Church, Richmond BC. 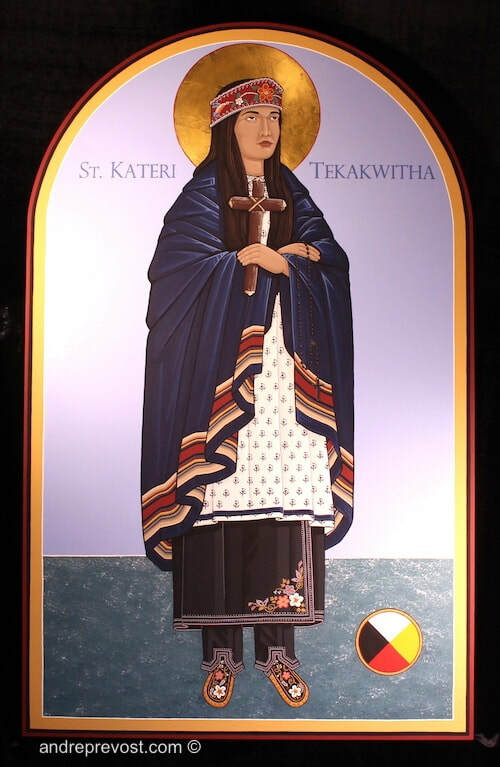 St. Kateri Tekakwitha Icon © 2018 30"x48"x1" archival acrylic on wood panel covered with muslin and gesso. The 2nd of 8 icon being written for St. Monica Church, Richmond BC. St. 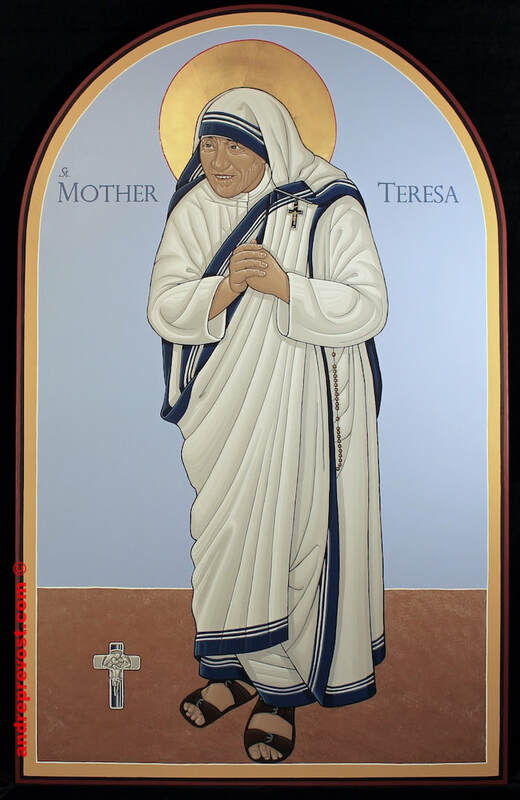 Mother Teresa Icon © 2019 30"x48"x1" archival acrylic on wood panel covered with muslin and gesso. The 4th of 8 icon being written for St. Monica Church, Richmond BC. 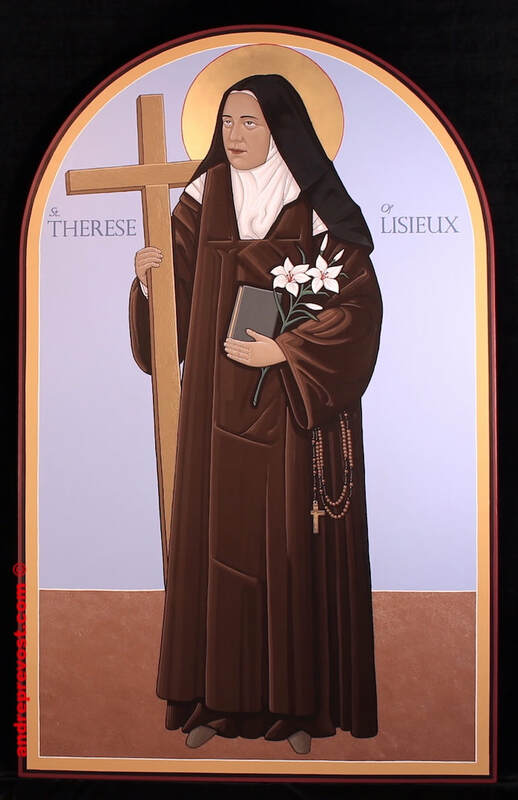 St. Therese of Lisieux Icon © 2019 30"x48"x1" archival acrylic on wood panel covered with muslin and gesso. The 5th of 8 icon being written for St. Monica Church, Richmond BC.